There is a possibility that Iran and Russia would negotiate over finding a mechanism for financial transactions to evade the US sanctions. Vice-President of the Iran-Russia Joint Chamber Seyedeh Fatemeh Moghimi has discussed the possibility of Russia’s joining the new European financial channel in an interview with Trend. “In the new situation the EU has decided to create a mechanism for Iran’s transactions to evade the sanctions. I believe this will be followed by other countries as soon as it is implemented,” she said. “In the first stage, Europe has limited the transactions mechanism to medicine and food items, but it should be noted that these two items were not sanctioned and a change should happen,” she added. 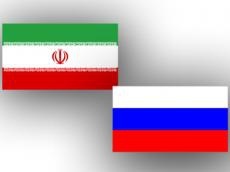 Fatemeh Moghimi indicated: “By launching a new mechanism, Russia will have a different view towards trade with Iran, since the two countries have high trading capacity and a considerable portion of this capacity has remained untapped." “In the upcoming days, the new Russian attaché will arrive in Iran, and I think there will be opportunity for a trade agreement between the two countries alongside proper conditions for trade development,” she added.